Vietnam is the easternmost country on the Indochina Peninsula in Southeast Asia. 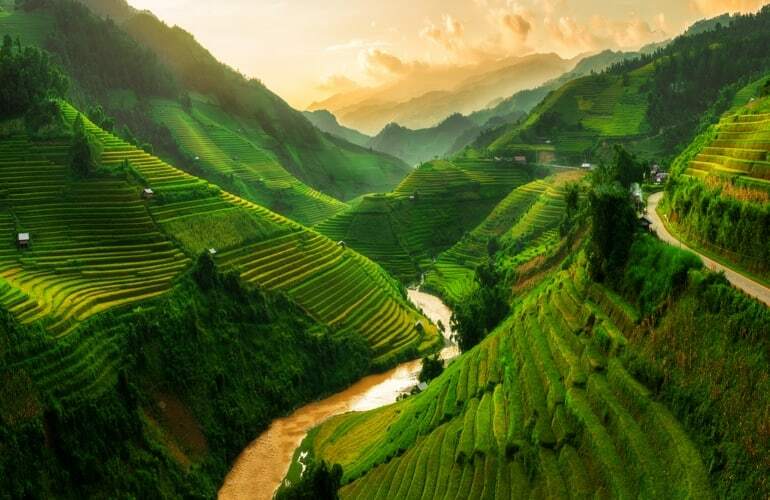 Being a tropical country, Vietnam has lush landscapes with natural beauty, cultural complexities and captivating cities. Traveling to Vietnam, you will not only experience its rich culture and fascinating history, but also admire its majestic natural scenery. So now, let’s check out the top 10 destinations not to be missed of Vietnam to plan your next trip! 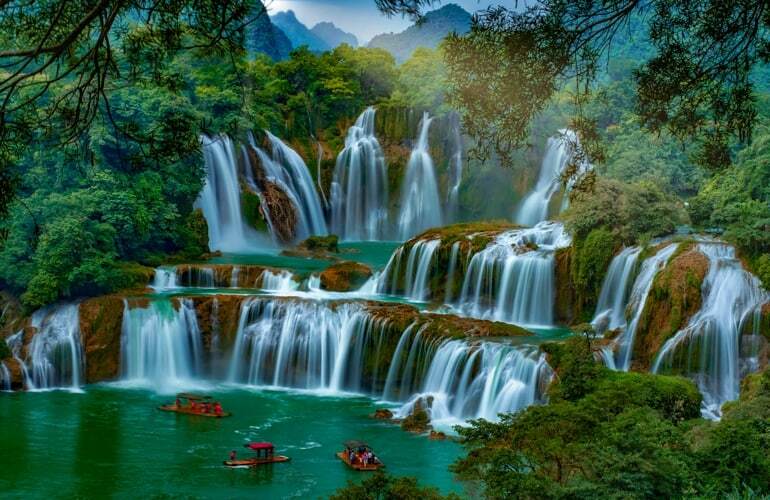 Located about 360 km from Hanoi in the northeast of Vietnam, Ban Gioc waterfall is the most beautiful and spectacular waterfall in the country. It has a width of 208 meters and the height of 30 meters. The best time to visit this waterfall is from May to September. In fact, during summer time, you can completely admire this gorgeous waterfall and enjoy the activities with its charming landscapes. Located in the most remote northwestern mountainous areas of Vietnam, near the Chinese border, Sapa is a graceful hill station town. You will feel free in this lovely town with charming natural scenery. Indeed, you will admire its breathtaking sceneries filled with rugged rice terraces, steep valleys, lush vegetation, stunning mountain peaks and passes. Moreover, Sapa is attracted by its diverse culture with various ethnic hill tribe minorities. Ha long in Vietnamese means « descending dragon », because the local says that dragons were sent there by gods to defend their country. So the dragons carved large valleys and gorges with their tails. 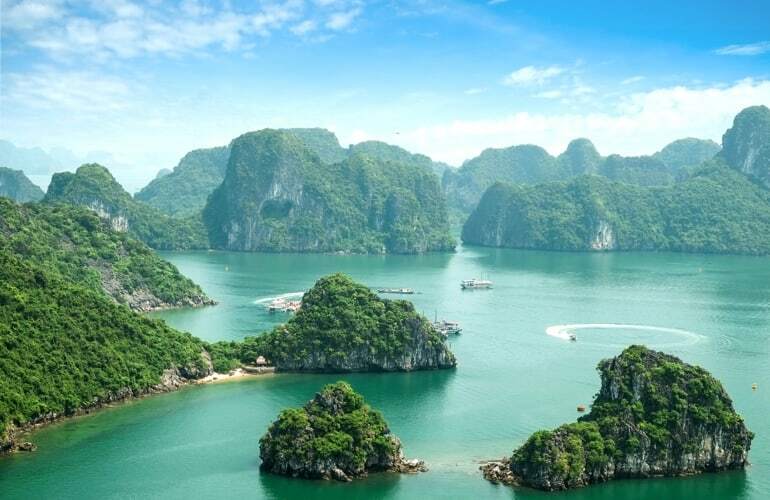 Ha Long bay is located around 144 km east of Hanoi (the capital of Vietnam) in the Gulf of Tonkin. UNESCO recognized it as a natural heritage of the world, Ha Long Bay consists of over 1,600 islands and islets – mostly inhabited. Come there, you will discover extraordinary landscapes with the jagged limestone pinnacles and karsts. And also, you will not forget the wonderful feeling when participating in interesting tourism activities such as kayaking, boating, cruise, etc. Situated in the Ancient Capital of Ninh Binh, a province in Northern Vietnam, it is a beautiful destination for you to explore. 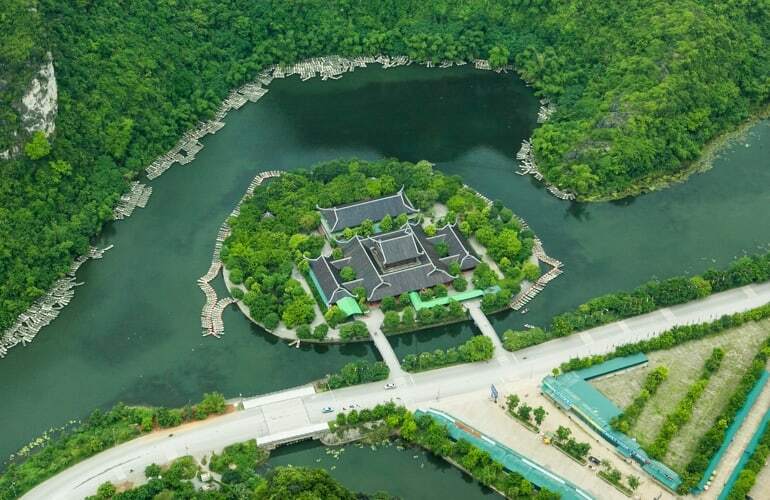 The heritage property is spread over a large area of 10,000 hectares, and is made up of three individual components within a single buffer zone: the Trang An Ecological Area, the Tam Coc-Bich Dong River Landscape, and the Hoa Lu Ancient Citadel. 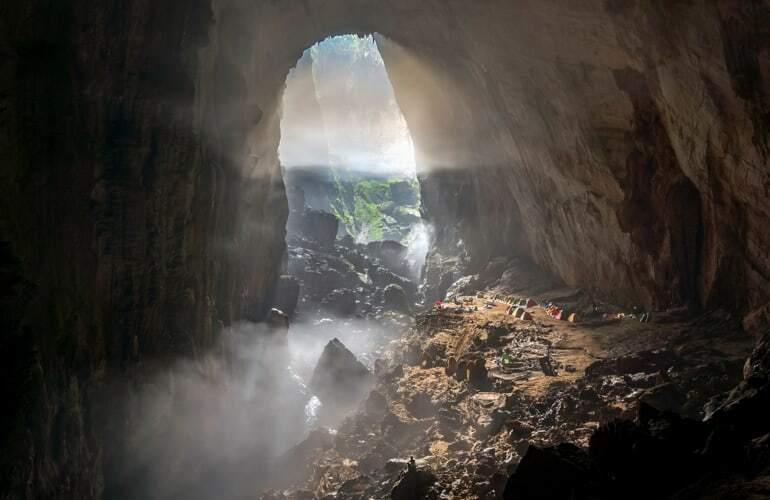 Discovered by a local in 2009, Son Doong cave is considered to be the largest natural cave in the world. It has an estimated length of 5 km, a height of 200 meters and a width of 150 meters. Not only being famous for its enormous size but Son Doong cave is also known for the diversity of landscape and creatures. In this cave, explorers have discovered a primitive forest with rich vegetation, no trace of humans. Being exploited for tourism activities for 3 years, it still retains pure and pristine beauty because of the limit of visitors every year. 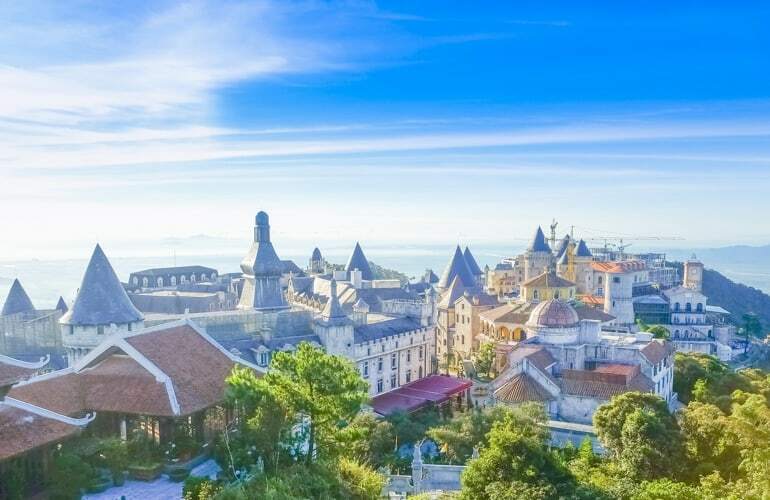 From Da Nang 25 km to the southwest at an altitude of 1487m high over the sea level, Ba Na mountain is a gorgeous destination that you should not miss. From the top of the mountain, you will have a panoramic view of the East sea, Da Nang city and rice fields spreading to the horizon. With the majestic mountain scenery, and awesome activities there, you will absolutely be satisfied with this trip. Furthermore, the climate is quite cool with average temperatures below 20 degrees around the year. Thanks for that, you can experience four seasons within a single day: spring in the morning, summer at noon, autumn in the afternoon and winter in the evening. You can travel to Ba Na hills at anytime of the year but the best time is from April to September. 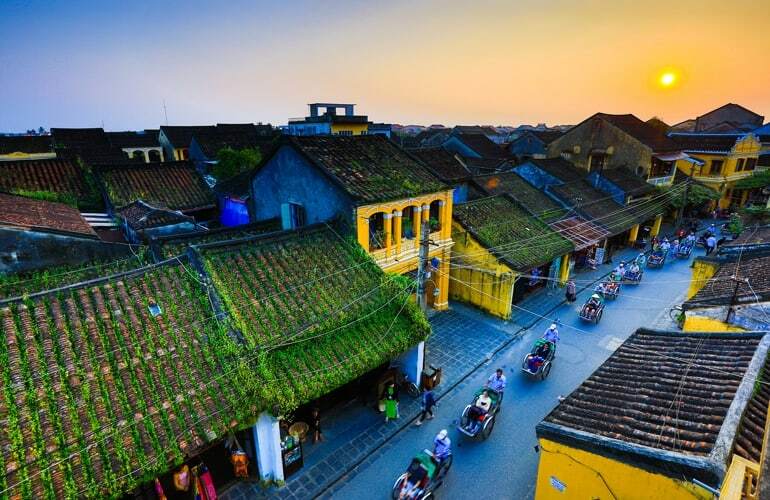 The beauty of Hoi An ancient town is a rustic and homely painting. In this graceful town, you will enjoy traditional cultural space with yellow ancient houses, narrow street and traditional villages. In addition to cultural values through diverse architecture, Hoi An still preserves a rather large intangible cultural background through local daily life with traditional customs, religious activities, folk arts and cultural festivals. Especially, if you come to Hoi An on the 14th day of the lunar month, you will have the opportunity to admire a shimmering Hoi An with brilliant lanterns. Dubbed as the kingdom of onion and garlic in Vietnam, Ly Son island is a natural pearl island thanks for its marvelous and wonderful white sand and blue sea. It is quite small but you can totally admire spectacular scenery such as volcanic mouth, green garlic fields as well as well-preserved temples, ancient pagodas and shrines. June to September is the most ideal time to visit Ly Son island as you will explore the best experience with coral reefing seeing and diving. Mui Ne is a town and cape located 180 km east of Ho Chi Minh city. 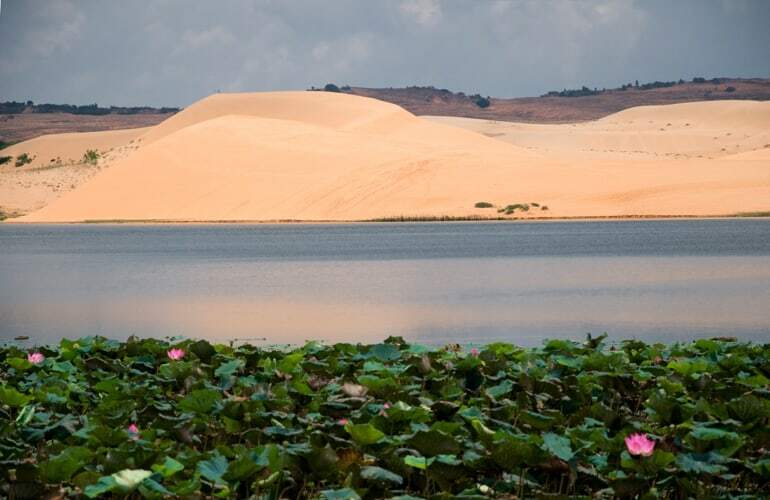 With its stunning topography, the charm of Mui Ne lies in the magical prowess of nature. Come to this lovely town, you will be pleased with natural attractions, water activities, sliding sand and also experience the original fishing village. 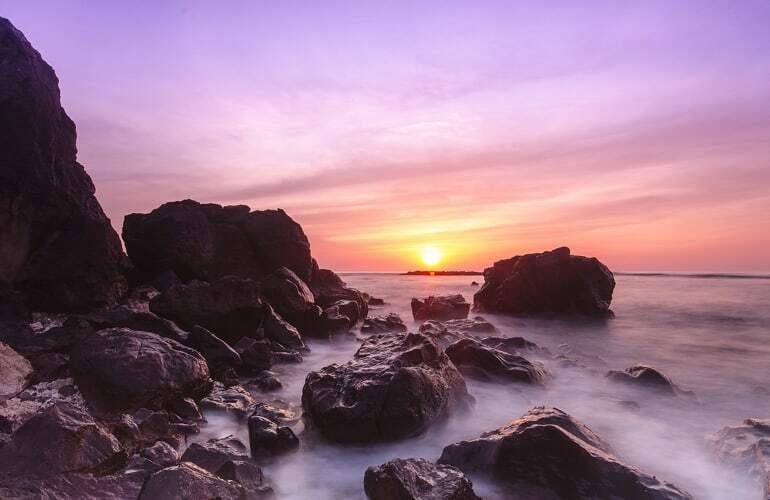 Besides possessing beautiful natural scenery, this land is also an attractive cultural tourism destination with diverse communities of Chinese and Cham people. The best period to visit Mui Ne is from October to the end of March. Mekong Delta is famous for its dense river system, canals interlaced. With only one boat, you can travel all the way to the most devious parts of the area. 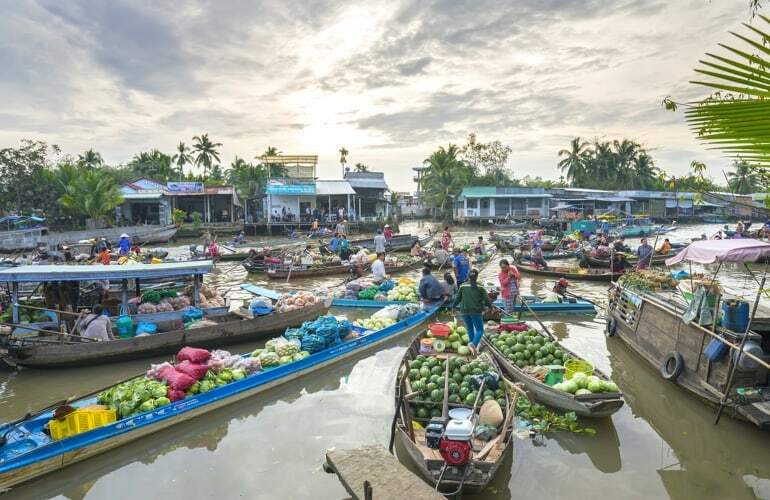 The most interesting point in Mekong Delta is the chance to visit the floating market. It is a place for exchange of goods and cultural exchanges also. You can not only discover the bustle of it, but also enjoy local specialties. Market hours are from 5:00 AM to 8:00 AM on weekdays.